How can I change my survey URL? 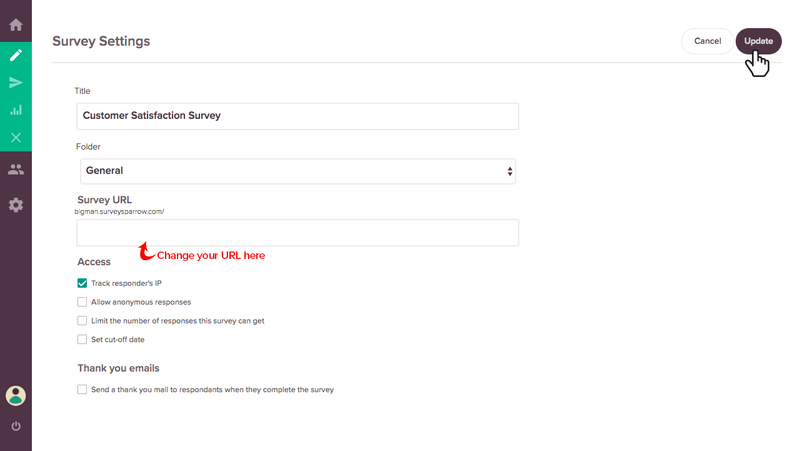 To change your survey URL, from your builder page, click on survey settings. 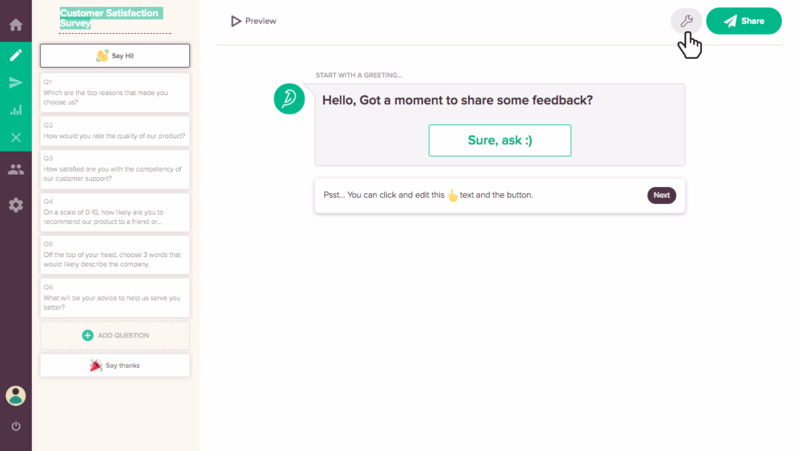 Now under survey settings you can see the Survey URL tab, change the url and click on update to use the new url.